Industry Panel on Bioeconomy – NORAM Engineering and Constructors Ltd. The opportunities inherent in ‘Growing the BC Bioeconomy’ came under the spotlight at the annual BCTECHSummit in Vancouver this week. 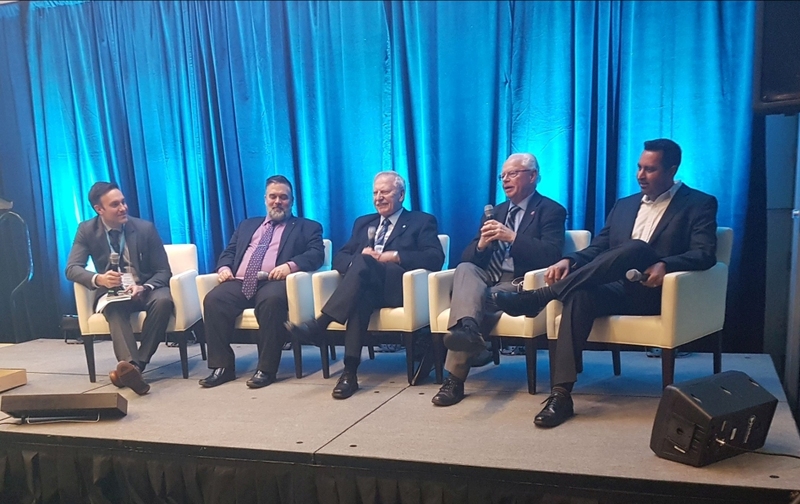 NORAM Group Chairman and CEO, George Cook, joined an industry panel made up of representatives from., Alpac, Bioindustrial Innovation Canada, and Performance BioFilaments. Facilitated by James Sandland of the Ministry of Forests, Lands, Natural Resource Operations and Rural Development, panelists wrestled with the competitiveness of British Columbia in the intensifying global drive to sustainability. Mr Cook pointed out that, although BC had been slow in addressing these new markets, the markets had been considerably de-risked by efforts elsewhere. Immediate opportunities exist in the Canadian market for a second lignin extraction plant, and another Crystalline Nanocellulose (CNC) facility.